Citizens United Political Victory Fund (CUPVF), the affiliated PAC of Citizens United, issued the following statement endorsing conservative State Senator Jim Banks in Indiana's 3rd congressional district primary election. CUPVF has also contributed $5,000 toward Senator Banks' primary campaign efforts. 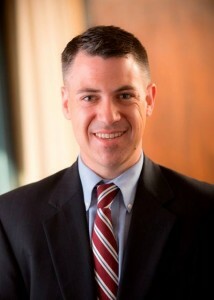 "Senator Jim Banks is a conservative change agent, plain and simple. 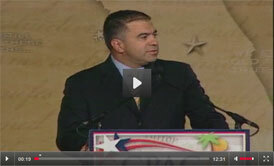 He has an outstanding conservative record in the Indiana Senate and I trust him to continue his principled work in the U.S. House of Representatives, as a member of the House Freedom Caucus," said David N. Bossie, President of Citizens United. "There are some candidates who I worry about getting weak-kneed once they get to Congress. I have no such concern with Jim Banks," Bossie added. "Senator Banks is a citizen-politician who will never stop listening to his constituents and I trust he will always fight to change Washington, not join the club of career politicians who are clinging to power for power's sake. I urge all Hoosier voters in the 3rd congressional district to support conservative Jim Banks for Congress in the upcoming primary election" Bossie concluded.